Ah… hmm. I guess in the high heat of summer anything’s possible? Apparently I seem to have stumbled upon a… magic valve, or drunk the wrong magic potion, or swam in the wrong magic spring… I dunno, whatever’s TFing the kids these days. 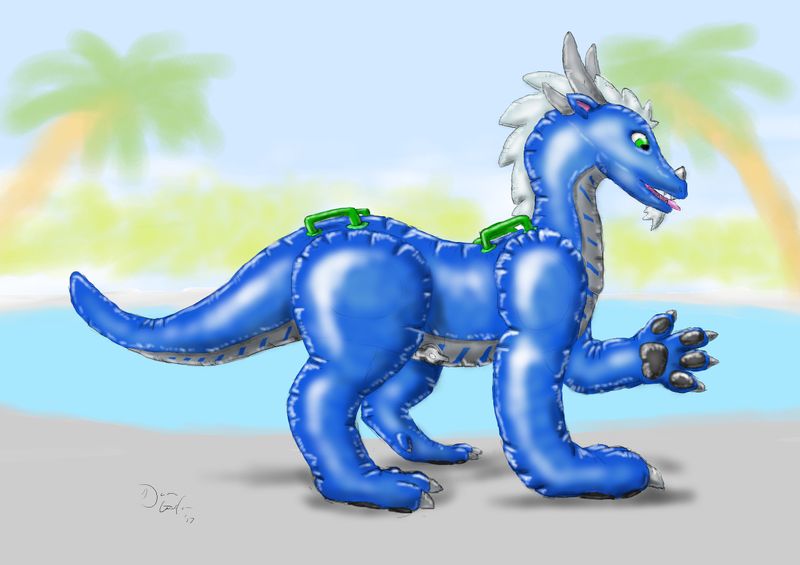 And thus is born a new Dorey variant: the Pool Toy Edition. Squishy and squeaky and shiny, useful as both a friendly face and a flotation aid at your next pool party. I seem a little startled by the change, but I’m sure I’ll get used to it pretty quickly. ‘Squishy’, ‘shiny’, ‘squeaky’ and ‘harmless’ are very Dorey-compatible concepts after all. Also, hi! Yes I’m still alive. Mundane life concerns and job changes and associated stresses have been hammering me for the past few months and squashing my art ability, but I’m hoping that this will begin to spin up the art drives again.